Daughter, Daisy, was thrilled with her freshly ground peanut butter and also found an amazing coconut milk ice cream. Yum! Do you like tahini? Everyone in my house knows it's one of my favourite, must have in the house at all times, foods. I LOVE it! I drizzle it over my Everyday Lunch Salad every day. I just eat it because I love the taste of it, but I've Googled and found out it is high in calcium and protein and contains healthy omega 3 & 6. Yay! In a bowl, mix together the tahini, honey and egg. Add the walnuts to the tahini mixture. Put the dried dates and coconut into the food processor and chop until the dates are fine. Add the date and coconut mixture as well as the spices to the tahini mixture and mix it all up well. Scoop tablespoons of the mixture, form into a rough ball shape and flatten with palm of hand onto a baking tray covered in baking paper. Bake in oven for 10-12 minutes until golden brown. 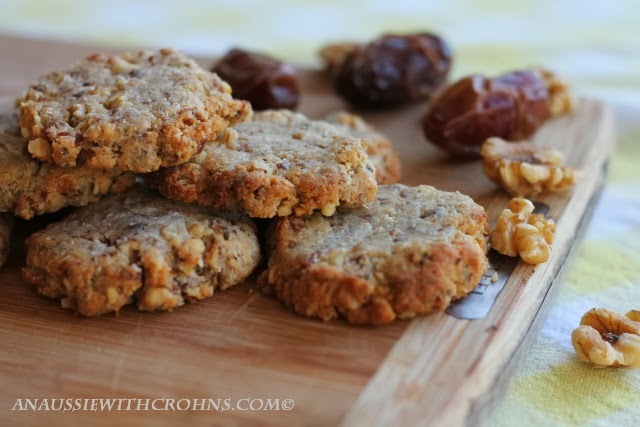 Notes: The original tahini cookies didn't list eggs in their ingredients, so this could probably be made without them. Just reduce the amount of coconut. I like these cookies baked until they are starting to brown on the bottom. Keep an eye on them, though, they brown quickly. Have you come and said 'Hi!' on Facebook yet? 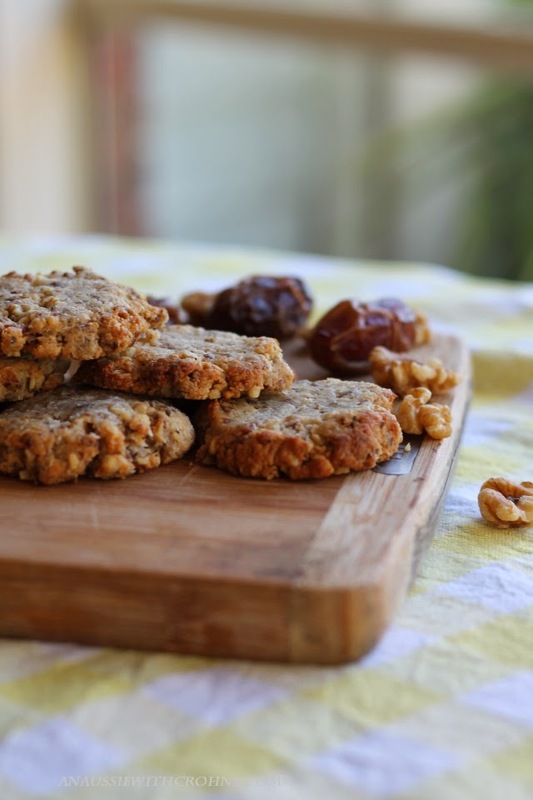 I've just made these and they are just the best cookies gluten/grain free and really tasty. Easy to make, no messing about......I didn't roll them into balls because the mix was quite sticky, just made a round shape in a soup spoon and flattened them a bit. I'll be making these again and again. Awesome, Kat, glad you like them. I've just made another batch as well! I was out of dates so I used dried figs and bananas. Yum! :! 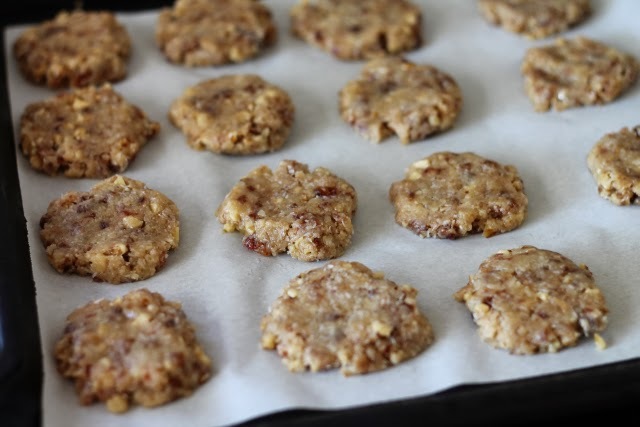 Deb, these turned out absolutely scrumptious when I made them last week.